Louis Cathedral in a book, he could fly a photographer down to New Orleans to snap one or search for a qualified local to do it. Or for less money and effort, he could simply buy a stock photo from an image licensing company. For example, Pixar needed an Eiffel Tower for Parisian scenes in the movie Ratatouille, but instead of designing a 3-D model of the structure from scratch, the animators purchased one through TurboSquid. The outsourced Eiffel Tower allowed them to direct more of their creative resources to a gastronomic rat named Remy. Architecture firms buy people, trees and furniture to liven up the computer models of their buildings. News agencies use TurboSquid’s 3-D images for reenactment montages. Video game companies pick out sports cars for their pumped-up action heroes to drive. Military agencies buy models of guns, bombs and military camps to assist with solider training. TurboSquid doesn’t actually create or even really sell any of the 3-D models on its Web site. Like eBay, TurboSquid is an online marketplace that connects buyers and sellers and earns revenue from commissions off each sale. TurboSquid’s role is operating the Web site and its e-commerce functions, maintaining standards and helping with any technical or customer relations problems that may come up. As a result, the New Orleans company finds itself at the crossroads of a vibrant international community. About half the company’s sales come from outside the United States, and while some of the creators of the 3-D images who sell their work on TurboSquid are American, others might live in Brazil, the Czech Republic or Siberia. Sometimes the sellers are students who use their TurboSquid income to pay their way through college. Other sellers exclusively rely on TurboSquid to support them and their families. Yes, Wisdom used to consider himself a 3-D artist, too, although now he spends his time running TurboSquid’s operations and managing its 35 employees. His interest in computers began at age 8 when he took to programming his Apple II+ with the help of a teacher. 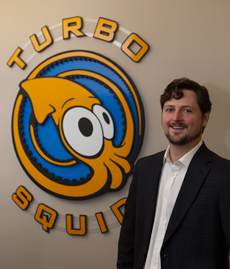 Much later, Wisdom had a small business in which lawyers would contract him to develop computer videos to animate their cases; noticing the need for premade 3-D imagery, he started TurboSquid in 2001. 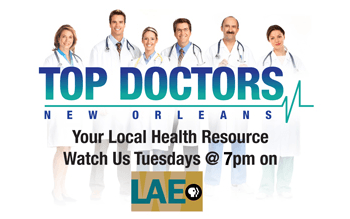 As one of the larger and more established tech firms in the city, Wisdom’s company has become a leading light of New Orleans’ energetic small-business community. A high-profile cover story on New Orleans entrepreneurial culture in the August 2009 issue of Entrepreneur mentions TurboSquid in the second paragraph. That article triggered related news pieces in USA Today, on CNN and elsewhere. The company’s success means that it has dozens of imitators trying to replicate its business, but TurboSquid is far and away the leader of its market category. Its success also means it frequently receives offers from other companies wishing to buy it.